The conclusions come from an analysis of 2,800 adults by Swedish researchers from the Karolinska Institute. It showed that those who had a 400ml daily serving of sugary or artificially sweetened soft drinks were 2.4 times more likely to suffer from type 2 diabetes. They were also more likely to suffer from type 1 diabetes, which is known as latent autoimmune diabetes of adults (LADA). 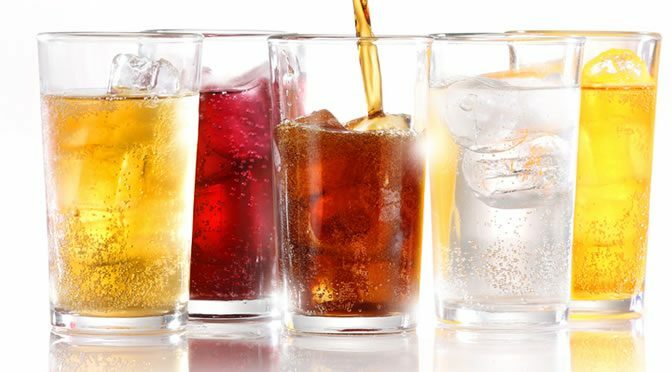 Moreover, adults who drank a litre of sweetened or sugary soft drinks every day were found to be at 10.5 times higher risk of type 2 diabetes and at a 3.5-fold higher chance of suffering from LADA. More than 9% of the U.S. population, or 29.1 million Americans, suffer from diabetes. The most common form is type 2 diabetes, making up about 90% of all cases. Type 2 diabetes starts when the body can’t use the hormone insulin effectively and so levels of blood sugar increase, resulting in a condition known as insulin resistance. Type 1 diabetes is generally found in genetically susceptible individuals, but it seems that LADA patients share features of both type 1 and type 2 diabetes. LADA is consequences of an autoimmune disease where the immune system slowly damages the insulin-producing cells in the pancreas. This condition also known as “type 1.5” diabetes slowly progresses in mid-life, usually between 30 to 50 years of age. “One is that consumption of diet soft drinks may stimulate appetite and make us increase our food intake, especially sweet/sugary foods, possibly leading to overweight, which is a risk factor for diabetes. Another one is that artificial sweeteners may negatively affect the balance of ‘good’ and ‘bad’ species of microbes in the gut, which could lead to glucose intolerance. I would like to point out that one other explanation to our findings for artificially sweetened beverages may be that some people have swapped from sugary to diet soft drinks in an attempt to prevent further weight gain/to lose weight. In this study participants completed a health and lifestyle questionnaire plus a 132 item food frequency questionnaire. They were asked about intake of sweetened drinks; cola, diet cola and other diet soft drinks/soda such as diluted syrups. However, questions on 100% fruit juice were not analysed in this study. As for artificially sweetened soft drinks, there is no nutritional value in consuming them. The study was published in the European Journal of Endocrinology (Löfvenborg et al., 2016).